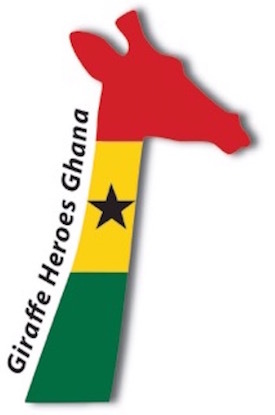 Giraffe Heroes Ghana (GHG) is the eighth and newest affiliate of Giraffe Heroes International (GHI). As with all GHI affiliates, its purpose is to move citizens to stick their necks out to tackle the public challenges of importance in their country, including combatting corruption and income inequality, building bridges between Muslims and Christians, and refusing to tolerate violent “solutions” to the nation’s problems. Giraffe Heroes Ghana was launched in March, 2016, during a packed ten days of media appearances by GHI Director John Graham and GHG Director Nana Darkwa. 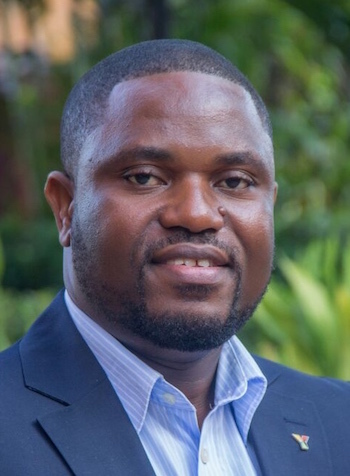 The two of them were a steady presence on Ghana’s major television, radio and print outlets, leading to a major speech at Accra’s International Conference Center. The two called for a “New Narrative” of courage, taking responsibility and compassion to replace a depressing repetition of corruption, economic injustice, poor leadership, citizen apathy and tribal and electoral violence. The pair also kicked off a National Peace Campaign aimed at ensuring that Ghana’s hotly contested elections later this year are free, fair and nonviolent. I warmly welcome you to the official page of Giraffe Heroes Ghana. It is with a great sense of joy and pride that we the people of Ghana wholeheartedly accept Giraffe Heroes into our fold as we determine to sing a new song by rewarding bravery born out of compassion and care for our society. Giraffe Heroes Ghana has come to tell a new narrative, a narrative that inspires hope and confidence in the ordinary citizen of Ghana to actively engage the development process. A new narrative where our courage shall rise with danger looming, courage to right the wrong in our society and to drum home the fact that the time was always right to do what is right. Brave men and women, boys and girls of Ghana, Giraffe Heroes is here to celebrate you. We are open for nominations and would be happy to receive them. Do you know of a Ghanaian citizen who is sticking her or his neck out to serve our country and al its citizens? Contact me at youthiconsgh@gmail.com for details on how to submit your nomination. We look forward to celebrating that hero, letting his or her example inspire many others to stick their necks out too!